Projected growth in Virtual Reality popularity is not surprising. VR combines the greatest technological innovations with the innate human need for storytelling. As we ring in a new year, we’ll see VR-ready platforms like LearnBrite utilizing the best the web has to offer to address trending needs within Learning Management Systems (LMS). Let’s take a look at some key components of Learning & Development that will take your company from the past to the future. In just five years, the global mobile workforce is expected to reach 1.87 billion people—an increase of 420 million in barely six years. With more and more employees working off-site, the ability to access training and support from a variety of devices is key. LearnBrite is the world’s most accessible experiential learning platform; step into someone else’s shoes with the convenience of a mobile device or the full immersion of mixed reality. Whether logging in via your mobile device, tablet, desktop, or VR headset, LearnBrite provides engaging scenarios for any employee. Companies can’t always afford to outfit each employee with a VR headset. But engagement comes down to user experience. If your employee can hop into our VR-ready environment any time, not only will they be connected, but they will feel connected. And this mobile-friendly tech extends beyond the realm of L&D. Imagine your creative team sitting down for a meeting—when three team members are in the office, one is sitting in an airport coming back from a business trip, and another is at home with a sick kid. Because they’ve all been through their employee onboarding through the LearnBrite campus, they’ve spent a lot of time meeting in our virtual conference room. The three team members at work log in at their desks, our traveling employee joins via her smartphone, and the one at home hops on his laptop. They’re all suddenly together, reviewing the same documents, videos, and presentations in the comfort of their online conference space. Speaking of video, we’re seeing the medium occupy more and more space online (and it’s not just cat videos). Video was big in 2017, and it’s not going away. L&D has an opportunity to utilize growing use of video with their evolving workforce. 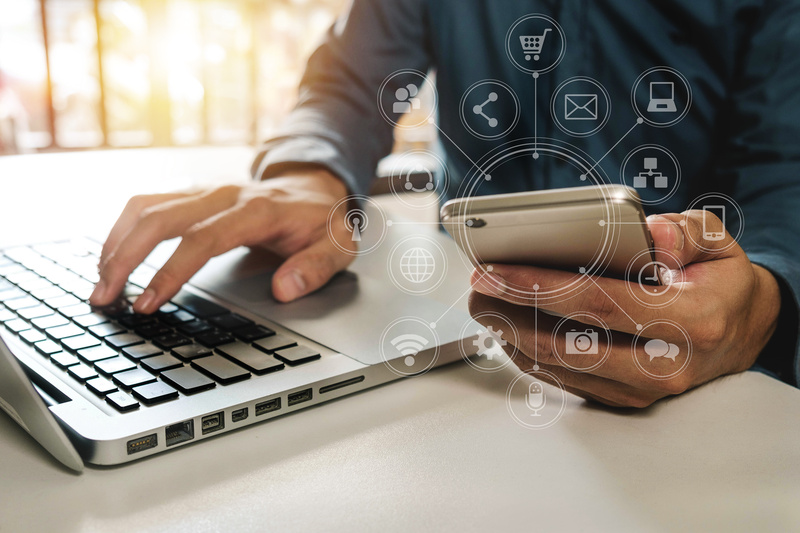 A recent eLearning Guild Report noted that over “90 percent of respondents now use video in some form to support learning” (Stephen Haskin, Learning Solutions Magazine). That means learners expect video as a medium for conveying information. LearnBrite allows users to peruse video libraries in interactive training spaces. A gallery holds videos, documents, and pretty much anything else you want trainees to engage with. There are even customizable avatars that will ask questions, answer queries, and enhance knowledge acquisition. We also love utilizing video in LearnBrite’s auditorium space. Gather employees for an interactive staff meeting, complete with presentation and video access. Members can raise their hands, ask questions, and see multiple screens at once in their virtual space. It’s seriously so much fun! Even better than cat videos, if we do say so ourselves. The LMS of the future will “work will work alongside several other applications, tools, websites, etc. to present a one-stop-shop for everything learning” (Amit Gautam). We’ve already touted our Microsoft integrations, and we don’t stop there. LearnBrite is based on HTML5, and meets the need for immersive browser-based 3D eLearning systems, compatible with systems such as Moodle and Blackboard, or in a standalone environment that can be easily integrated, deployed, and updated without the need for software installation, plugins or IT security issues. It’s really a barrier-free opportunity to engage with any and all operating systems. Personalize, personalize, personalize. Employees expect a learning plan based on specific development needs. And it leads to deeper learning. Something as simple as letting users design their own avatar within the LearnBrite space encourages them to become more invested in content. And it’s fun! We love combining engaging choices within a successful learning structure. As a new generation of digital natives emerges from universities that consider that “Learning how to create (art, games, projects, software, tribes, businesses) with cutting-edge technology is both a necessity and an enormous opportunity” (Matt Sparks), industry will need to adapt how it employs and engrosses them. LearnBrite is on the leading edge of technology that companies like Walmart, Volkswagen, and Lockheed Martin rely on for training the best employees in the most comprehensive way. 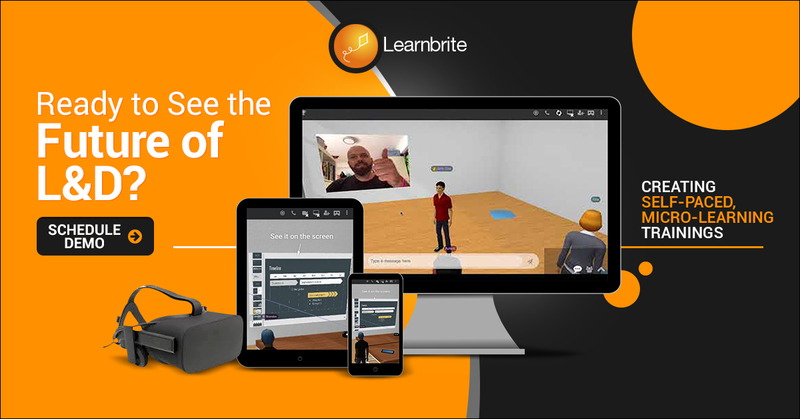 eLearning and LMS trends demand the immersive VR-ready, 3D learning environment that LearnBrite provides. If you’re looking for the solutions to your 2018 L&D challenges, look no further.